Successfully Added XiaomiMijia MADV Mini Panoramic Camera – Plug and Play, USB-C, 210-Degree View, 1920x960p Video, 5376x2688p Pictures to your Shopping Cart. The XiaomiMijia MADV Mini panoramic camera allows you to snap breath taking photographs and video with your smartphone. This stunning cell phone accessory is compatible with the majority of OTG enabled Android phones running on Android 6.0 or above and featuring at least 2GB RAM. It features an extremely simple plug and play design. Simply slide it into your USB-C port, and you’ll be ready to go. Thanks to its high performance chip, this smartphone accessory will treat you to stunning pictures and video at any given moment. 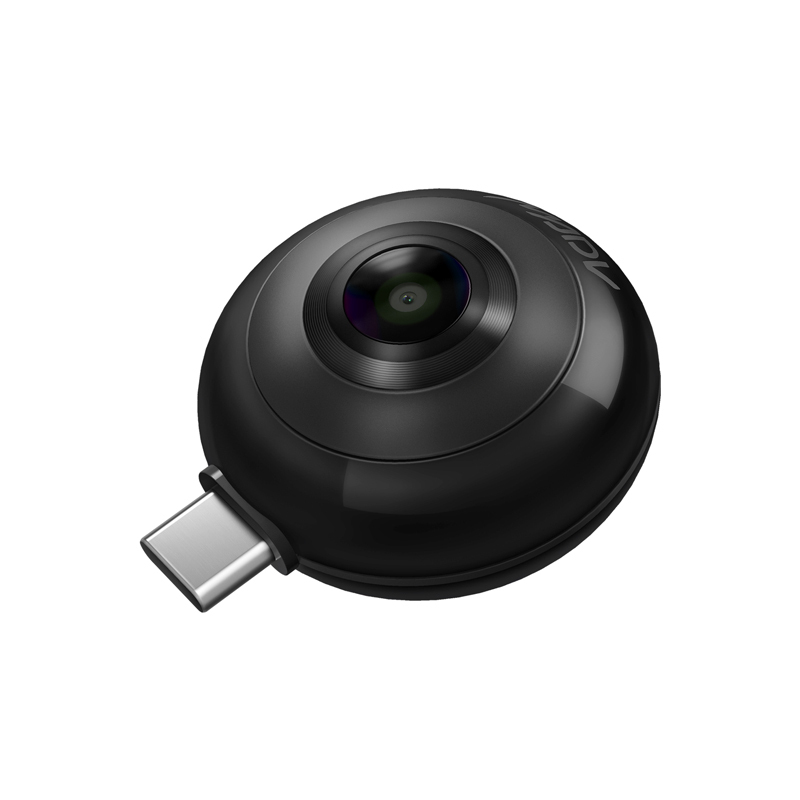 Whether you wish to record a video of an upcoming sports game or snap some pictures while traveling abroad – the XiaomiMijia MADV Mini panoramic camera is sure to live up to your expectations. This stunning smartphone accessory features an ultra-wide 210-degree viewing angle. It is able to record video in 1920x960p at 30FPS and capture mesmerizing images with a resolution of 5376x2688p. Never before have you been able to capture such stunning video and photographs with your phone. The cell phone accessory itself is compact in size and light in weight. This makes it highly portable and easy to carry along in your bag or pocket. With its multiple shooting modes, your panoramic smartphone camera accessory is sure to meet your photography needs. It even supports live streaming and media sharing through online platforms such as YouTube or social media. The XiaomiMijia MADV Mini Panoramic Camera comes with a 12 months warranty, brought to you by the leader in electronic devices as well as wholesale smartphone accessories..